Been a bit pre-occupied the past few days with my Final Four web site, but now that the bulk of what I need to do to get it up and running is over, I can concentrate here once again. I can't say it's as warm out and as green as it is in the photo contribution by swc, but it's getting closer as each day passes. 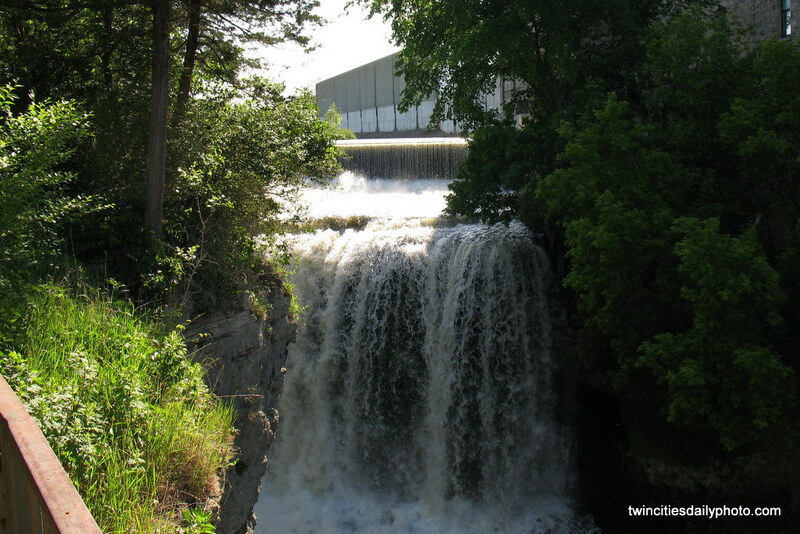 The water falls in the photo can be found in Hastings off of Highway 61 as you cross the Vermillion River. So beautiful and refreshing. I love waterfalls and cascades.